With Easter right around the corner, it’s time to gather up those sweet treats - and these won’t add extra calories! Our chocolate soap is just what you’d expect to find in your child’s Easter basket - but don’t eat them! Sinfully scented with Chocolate fragrance oil to make these even more sinful. You’ll receive a set of 10 bite-sized chocolate soap in a variety of styles. 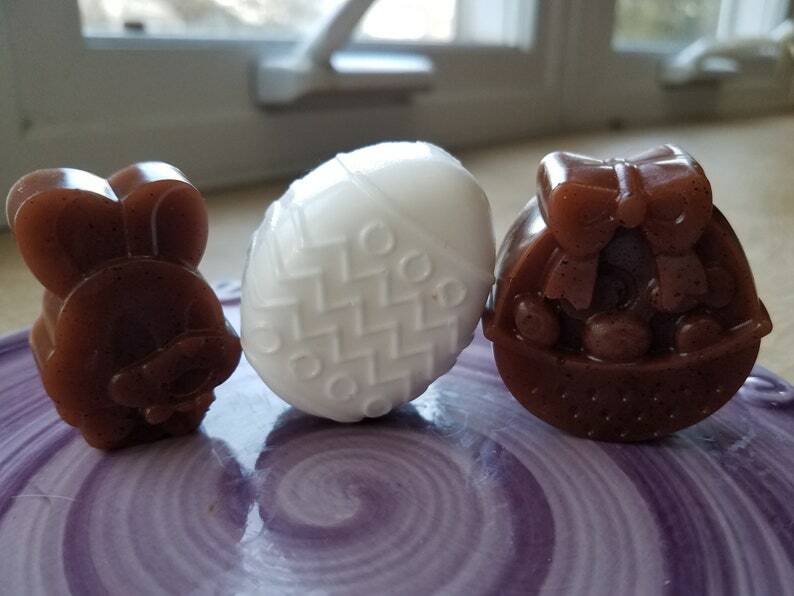 Easter egg, bunny and basket - in realistically-templi g chocolate colors. Want a set all in one chocolate style? Just choose your preference upon checkout.